Today I want to try something new with my posts. That is, incorporate some of my thoughts and advice on blogging while also discussing this adorable top from Shein. So first things first, this light and airy, slightly cropped top is only $12! 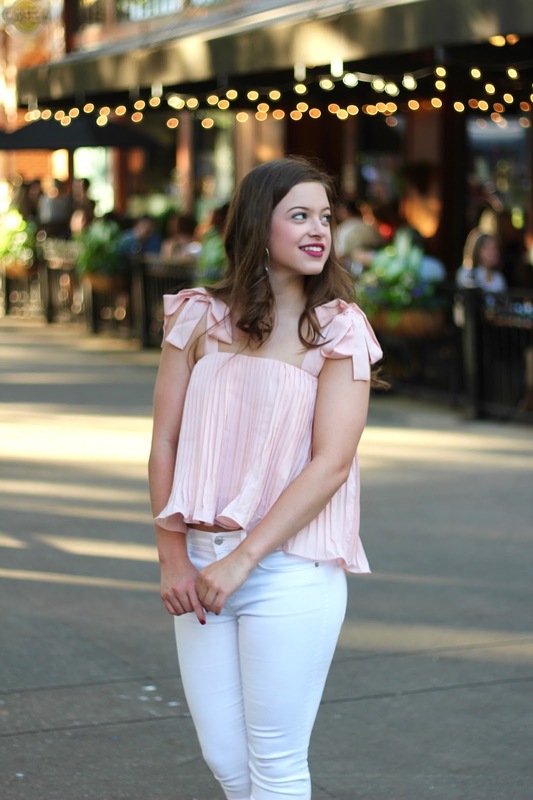 I have scored on so many great finds on Shein recently, so be sure to check out this top. I didn't realize it was cropped, so I definitely would have worn higher-waisted pants if I knew that. However, it is still just the cutest thing and I love the bows on the shoulder. For the rest of the outfit I kept things fairly minimal, with white jeans and my favorite espadrilles. I also added these adorable hoop earrings from a local boutique! I love outfits like these that are so simple but make such a statement! Ok, so now onto the important stuff. This post is a mix of how I blog, my tips for blogging, and answering some of your all's blogging questions. If it seems unorganized, it probably is because I just wrote down everything that came to my mind! I hope you enjoy! I feel like recently everyone is starting a blog or creating fashion instagrams, and I love how that is happening. But, since thousands of blogs revolve around fashion, it's hard to make yourself known in the blogging world at this point in the game. I'm kinda in that boat right now. Balancing on being a small blogger and stepping into the "bigger blogger phase" (if that makes sense). I guess what I mean is I have gotten to the point where I want my blog to really take off and go somewhere. When I started blogging, I didn't expect that to happen. But now that I see its potential, I am really trying to step up my content and consistently. A lot of you all have been asking about how I edit my photos and how I made my blog, as well as leaving tons of compliments about the photography, styling, and the blog. I just want to say thank you all so much for all your kind words. Blogging can be frustrating sometimes because you are constantly balancing creating spot-on content as well as building a following on social media outlets that are making it harder and harder to be recognized as a small blogger. So, to help all you other small bloggers out there, here are some of my tips for building a better blog. The most crucial step in starting a blog is finding the right platform for you. I originally started with Wix then decided to switch to Blogger as Wix was confusing for me. However, I have heard that Wordpress is ideal for many bloggers due to the potential of self-hosting your own blog, which is something I might switch to within the next year or so. But if you are just starting out, a free Blogger or Wordpress account is the best option for you. If you know that you want to eventually grow your blog into a potential income for yourself, then go ahead and purchased a domain and a self-hosted site. But for me, blogging has just been a hobby so up until recently I kept my free Blogger account. And if you want to have the .com attribute but don't want to pay a lot for it, you can buy a domain through Google Domains on blogger for around $12. But, like I mentioned previously, start out with a free platform and then work your way up once you are dedicated to your blog. It's so hard to come up with creative and clever titles for blogs now. It seems that all the good names are taken, and you want to be original without seeming to try-hard. 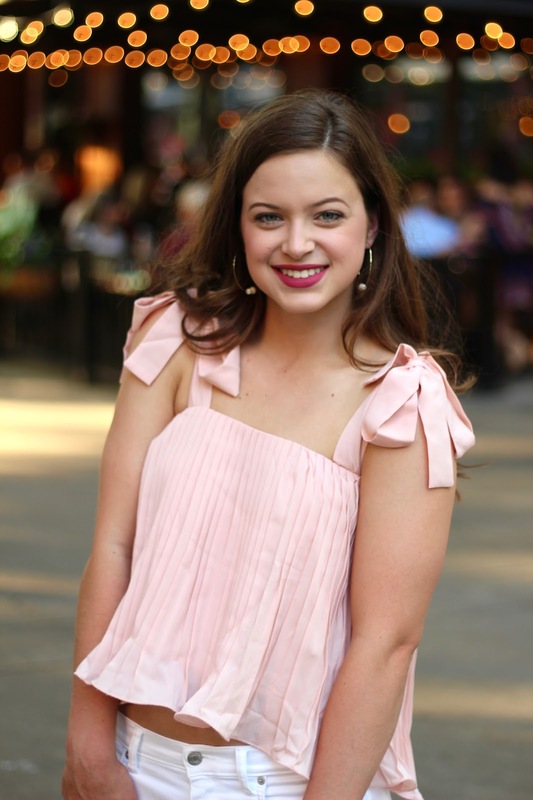 I originally started with the name "Live Boldly with Style" but I realized that no one would really know what my blog was about by hearing the name except that it had something to do with fashion. 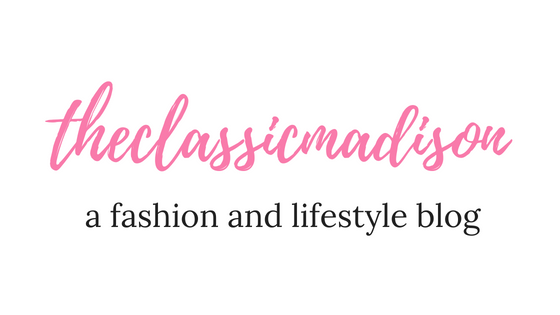 When you hear "The Classic Madison" it seems like the blog would be about classic things, such as classic or preppy fashion. Play around with a couple of names. There really is no formula on how to create the perfect blog name and chances are your name might not be perfect. Choose something that is memorable and different than other bloggers. I cannot stress highly enough that you should buy a template for your blog if you are serious in blogging. I bought a $25 blogger template on Etsy and it was such a good decision for my blog. The Blogger free templates don't give a lot of freedom in artistic expression and blog layout. Wordpress templates are little bit trickier to buy as you have to have a self-hosted website in order to install most templates, but I am not knowledgeable on the customization on Wordpress so it might be totally different than that on Blogger. Another great thing to think about researching for your blog is coding. I coded about half of the things on the template on my blog in order to make it how I wanted it to look. I uploaded the template I bought on Etsy, then made my own header. I uploaded my own fonts that I found on the internet, created my own color scheme, and then coded in several features. The Pinterest Hover button, the Popular Posts feature, and the Instagram feature were all coded into my blog after finding the proper code on the internet. Familiarize yourself with coding as it is very useful. I use it not only on my template but also when I post a link to twitter, use SEO optimization, and many other things. When making your blog, consider who you are writing it for. If you are making a fashion blog, are you reaching out to younger readers or working-age readers? 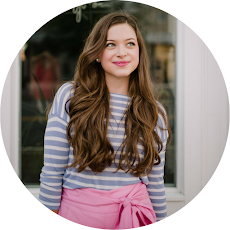 I created my blog in hopes that readers would be middle school, high school, and college age. Most of my readers are in that age range because my posts are generally aimed toward that. However, I have plenty of readers and bloggers that follow me who range from just out of college to late 50s and 60s. Another thing to consider is what your blog is about. If you are just creating a blog to post whatever you want, try to narrow down some ideas to create a "labeled" blog in a sense. It's ok to incorporate multiple different topics into your blog, but find one to mostly write about and then incorporate the others into your blog here and there. I mostly write about fashion but I also include advice posts, travel diaries, and more. Find your main topic and then go from there. The ultimate goal is to inform your readers and grow an audience. In order for that to happen you need to cater to your audience and make your blog user-friendly. Catering to your audience doesn't mean sacrificing what you want to post, but monitoring what your readers respond to best. Install Google Analytics or some form or tracking on your blog to see how your blog is performing. If certain posts do better than others, write those more often. Utilize SEO optimization to get your blog on search engines- which I would try to explain to you but I am still working on it. Major thank you to Hannah from The Swirl Blog for helping me out on that. She is currently working on a post so once what is up I will link you all to her! Figure out what works best for your blog in terms of posts and user-friendliness. Constantly ask your readers what they want to see. Photography is crucial to your blog and your instagram. You need to put your best work out there in order to build your following. I receive so many questions on how I take/edit my photos. I have two friends of mine who take photos for me, both with different photography styles. Luckily I have no problem blending the two types of photography together because they both do such a great job. I think a big step in amping up your blog is finding someone (or getting a quality camera) to take quality photos for you. One of the girls who takes my photos, Sydney, is working on building her photography business while the other friend, Bella, takes my blog photos for fun and practice. So, whether you want to find a professional or hobby photographer, find someone who captures the essence of your style in the photos. Most of my photos are minimally edited because I use natural lighting (mostly around sunset) and because I prefer airy photos. Sydney and I like to call it "light and breezy" photos, in which the light works with you, and not against you. And that means minimal editing on my part. Sometimes I will turn up the exposure or brightness a bit on the photos, but I rarely add filters to them. My friend Sydney is such a talented photographer who is currently building her photography business. She takes stunning photos for me which really help to boost my instagram (thank you Sydney!) Since she is working to build her business, I won't really include the stuff she uses. I know she shoots Nikon. If you leave in the East Tennessee area and would like to use her for photos (which I highly recommend) you can check her instagram out here and send her a message. I have my own camera, but I don't have the lens that I want to shoot with. One of my good friends, Bella, has the exact lens so we always go and shoot photos for each other which is so much fun. She uses a Canon 50 mm f/1.8. It has an amazing blur effect and is a great beginner for photography. I have gotten a lot of tips for photography from Pinterest, and I am still learning. Check out Bella's blog and instagram! I feel like every blogger has trouble coming up with content. Most of my content consists of fashion posts, but weirdly the posts that get the most views are lifestyle or advice posts. So, I am trying something new today by gearing my fashion post to a specific blogging topic. Next time I might gear it towards a lifestyle topic. Every blogger needs to listen to their audience without compromising there vision. So, I am keeping my vision of blogging about fashion while also answering some blogging questions and giving some advice on blogging. Keep your content authentic to you but also interesting to your readers. Find the best of both worlds! Post often and consistently with good content. I love it when you all comment on my blog or instagram, DM me on Insta, or tweet me on twitter. 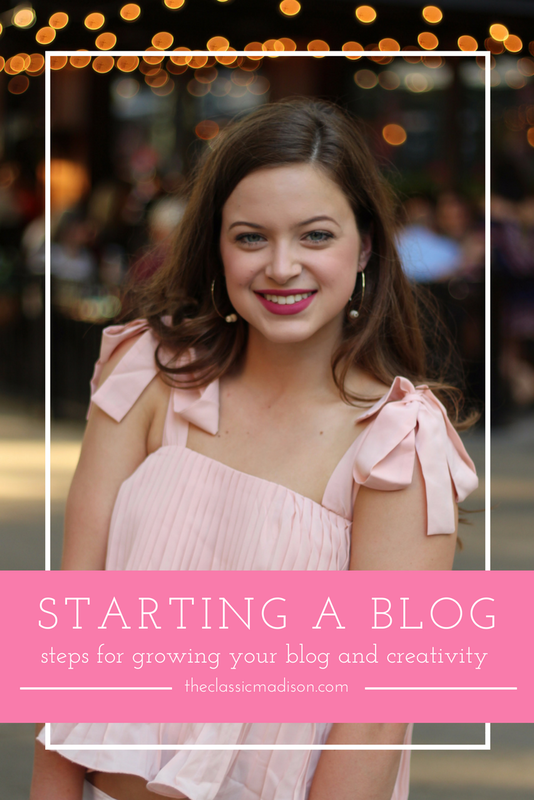 I have made many connections with other bloggers and that not only helps to grow your blog but also helps you to befriend others along this journey. I also love it when I comment on another blogger's photo and she responds because I know she is taking time out of her busy schedule (yes- blogging is very time consuming, even if you are a smaller blogger!) to respond. So I try to respond to all of your all's comments by either liking the comment or typing a response. I encourage you all to do the same because it lets your readers know that you are thankful for them. Also, please be genuine about your comments. It is definitely tempting to comment on every single photo you see, but it becomes very obvious when those comments are forced. If you love something, comment that you love it! But don't force anything just for views. It will probably not get you a follow! So, to sum up about interaction- do it often and be genuine about it. A great way to grow your blog is to collaborate with other bloggers. 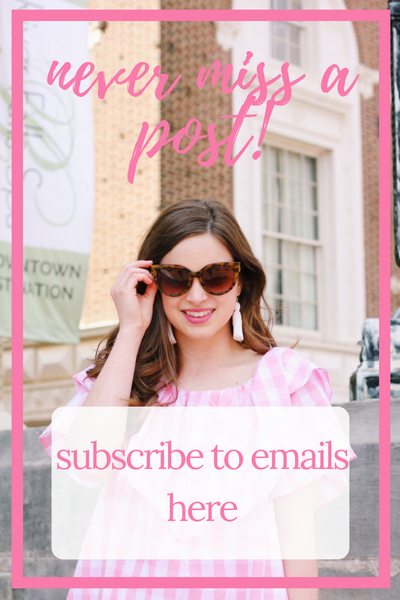 Join blogger groups, interact with other bloggers, team up with bloggers for posts and giveaways, and tag other bloggers for Follow Fridays. Tag companies that relate to your post, such as brands. Let companies know if you would like to work with them. Try to get your name out there by introducing your blog to others. Other bloggers can explain reaching out to brands better than I can since I have only reached out to a few. I have gotten turned down a couple of times, but I have found several smaller companies to work with. In addition, join influencer collectives such as Influenceher/Her Campus, the Shelf, and others. These networks can help companies find you. The last thing I want to discuss in this post is remaining authentic. Everyone wants to be like everyone else, and I am definitely a culprit. I see how other bloggers shoot a look or style an outfit and I want to mimic it. It's totally ok to take inspiration from others, but never straight up copy something. Also, stay true to what you want in your blog. Don't buy Lilly just because everyone else wears it or don't do something because you see every blogger doing it. Do stuff because you want to. Your blog is your personal creative outlet. There are no official guidelines to what you need to put on it or do on it. While there are definitely some general tips to follow (like I have included) it is up to you what you put on the internet. You have so much freedom in what you post, so make it authentic to who you are. So, there you have my jumbled up mess of advice and my thoughts on blogging. I didn't plan this post out but just decided to start writing my thoughts. I am not expert when it comes to this, but I am learning everyday how I can improve my blog. I have learned through this process that you need to put work into your blog in order to see results. I have also learned that photography is one of the most important aspects of your blog and what can ultimate make or break you for views and followers. When it comes to interaction, be genuine and respond to people. Reach out! Make your content reflect who you are, not what others are doing. Remaining authentic is so important and refreshing. I hope you all are enjoying your blogging journey (if you are on one). If you have any more questions, please comment, email, or DM them to me. I am no expert, but I would love to help you out. I absolutely love these tips! Thank you for sharing! 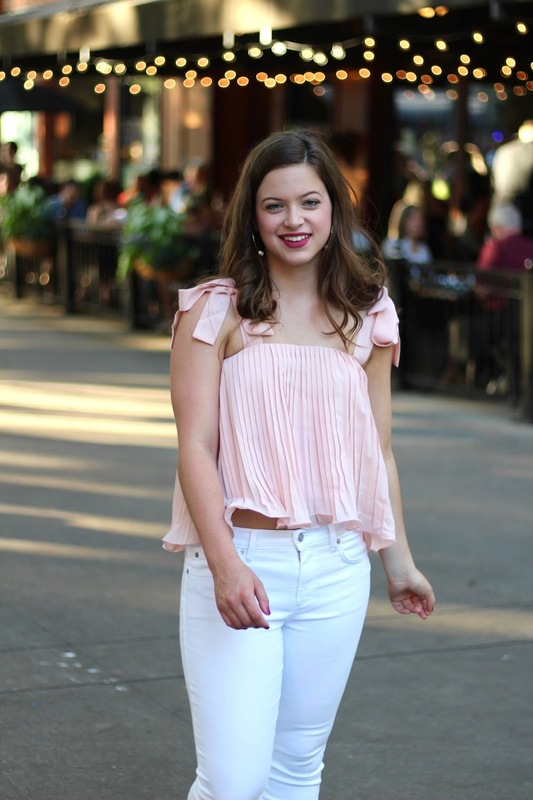 This post was really helpful and your pictures are fantastic :) Thank you for these tips Madison, although I'm not a fashion blogger by any means these were all very helpful in general!